I allowed myself one down day in Australia, in Palm Cove. I didn’t plan anything, I went where I was called. I took a couple long walks on beach. 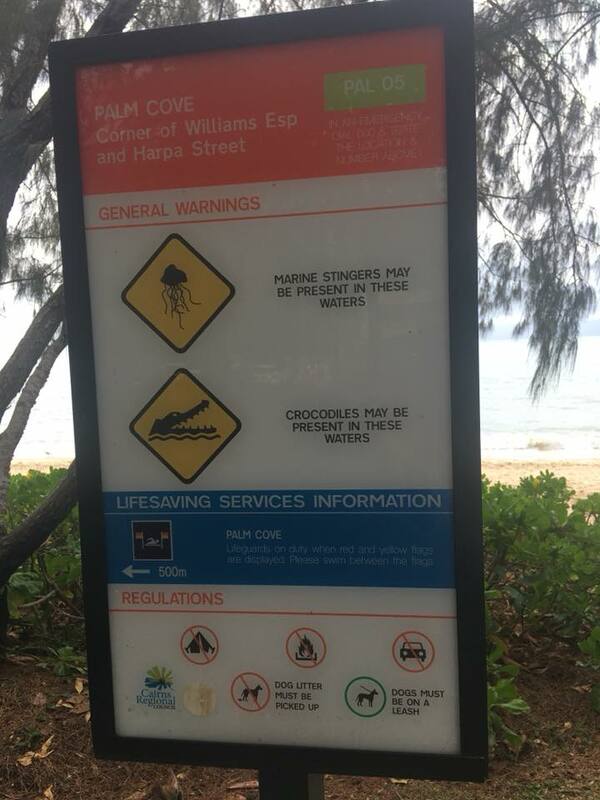 I had not realized that crocodiles swam in the ocean, but that helped me decide I would not be swimming here or renting a kayak. 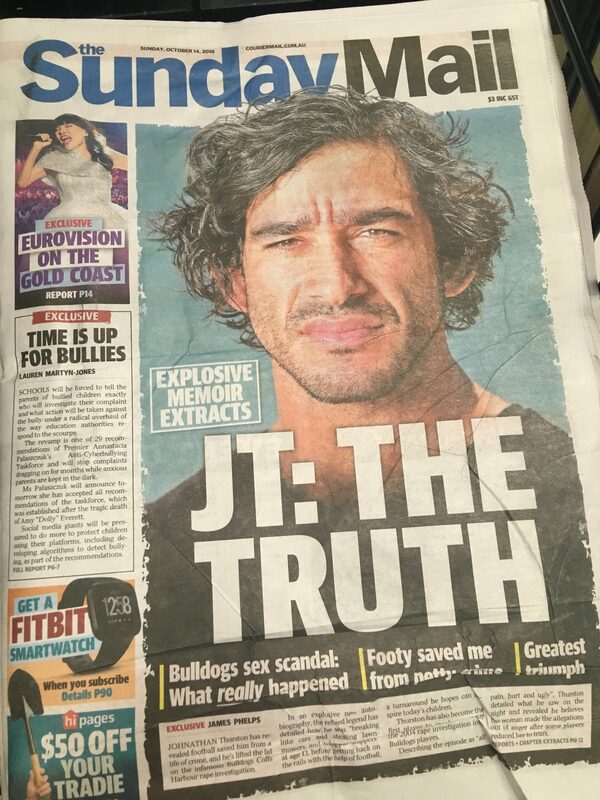 I had wondered, before arriving in Australia, if the whole crocodile thing was overblown—something they played up to titillate the tourists and TV audiences. But no. As I wrote before, on the shuttle on the way from the airport I had seen signs that warning people not to swim or wade in streams, and just beyond the signs were people standing in the water up to their thighs, fishing. “So … isn’t that dangerous?” I asked the driver. 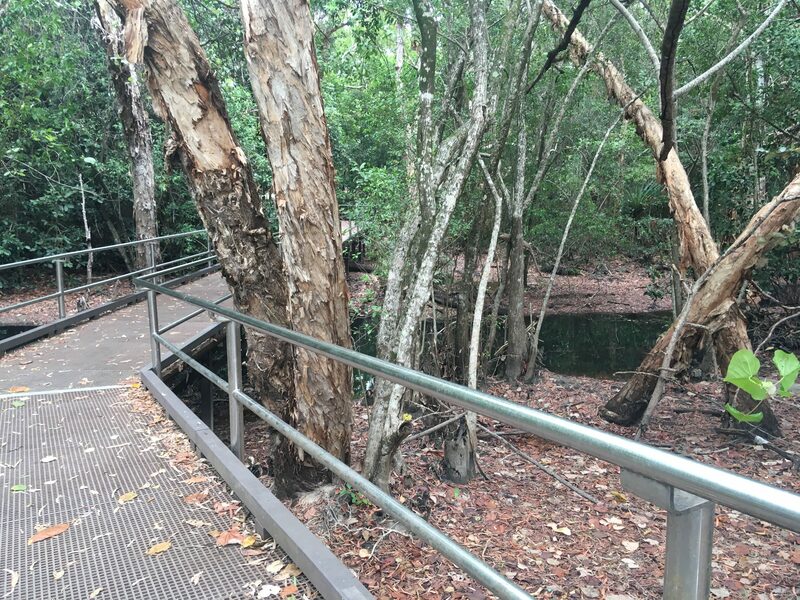 I walked through the jungle around Palm Cove. There were paths and boardwalks so I knew I wasn’t crazy to be walking here, but there were also warning signs about crocodiles everywhere. I’m normally a pretty intrepid hiker. My mother would freak if she knew some of the deserted places I have hiked alone down by the Mississippi River. I would take my chances with a pickpocket any day, I thought, over a crocodile. I was really on edge, watching for signs of fast movement on the sides of the paths. It really wasn’t very relaxing, so I headed back toward the beach, past a new housing development. I imagined walking out my back door to find a big croc in my pool, or leaping out at me as I gardened. No thanks. I stopped for a fried barramundi sandwich at the corner restaurant/grocery and perused the Sunday papers while I waited. I don’t know who this guy was, what really happened, or what his greatest triumph was, but he was handsome in a Cro-Magnon Man way. They had all manner of fried snacks that sounded like exotic variations on fish sticks; I imagine my five-year-old nephew would find them appealing. There was this sign explaining why they don’t issue plastic drinking straws. 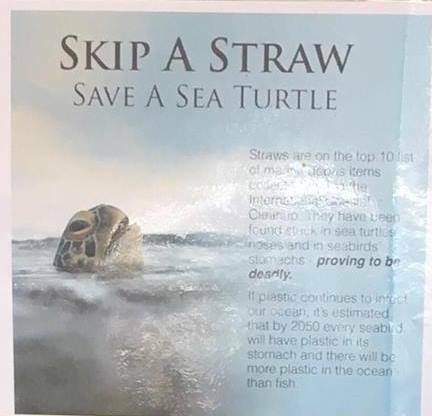 Because of the glare you won’t be able to read it, but trust me—straws are bad for sea turtles. I checked out every shop along the promenade and bought a few things but it was basically resort wear—nothing I would have occasion to wear in Minnesota. Back in my room, I pored over the brochures, then arranged with Jim at the front desk to take an excursion through the Daintree Rainforest the next day. I was excited; it would involve a train ride through the jungle, then a couple hours in the village of Kuranda, where I could buy more trinkets and have a beer, then a hike through the rainforest, then a cable car ride back. I would be gone all day. I couldn’t wait. I sat by the pool and read my book. I was half way through my 800-page Somerset Maugham short stories. I was tearing them out as I read not only to lighten my load, but because he uses the N word and other offensive language. He was a product of his time. These were the words people used. But I would not be leaving this on the take one, leave one shelf. 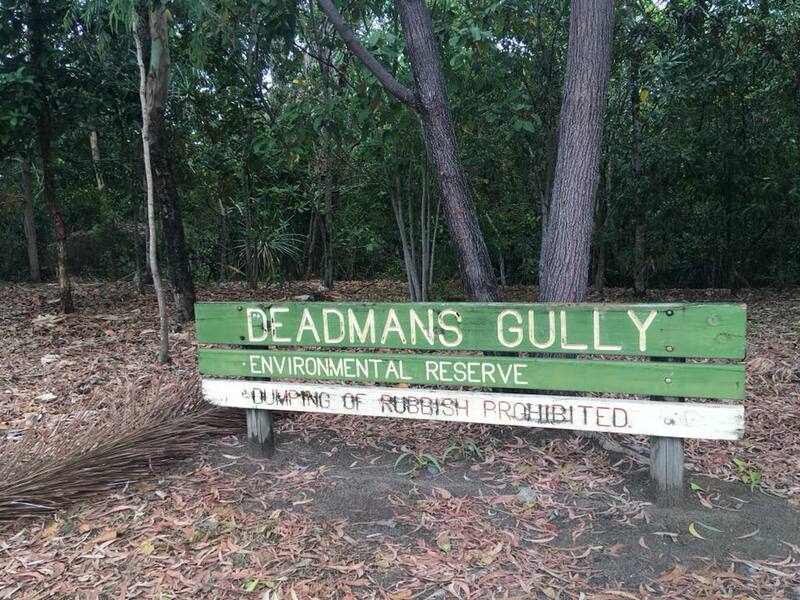 I took a dip in the warm salt water pool, gazing up at the pointillist canopy of gum tree leaves way above me. I capped off the day with a gag-inducing “Japanese” dinner. Imagine sushi made with “local fish.” Now think—like I didn’t—that the local fish is not tuna or shrimp or salmon, but barramundi, which is nice fried, but not raw. 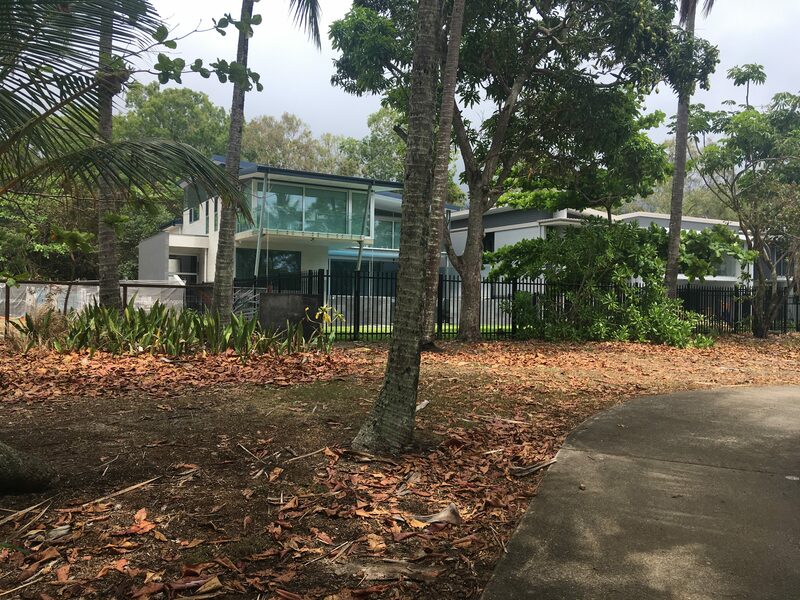 This entry was posted in Adventure, Culture shock, daily life, Joie de vivre, Living abroad, Travel and tagged Australia, Crocodiles, Daintree Rainforest, Great Barrier Reef, Palm Cove on January 27, 2019 by Breaking Free.